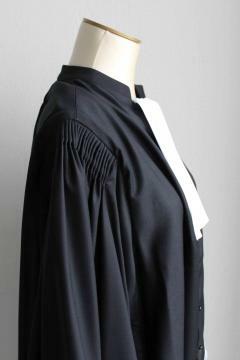 Our high-quality lawyer gowns are created with care to be comfortable and easy to wear. 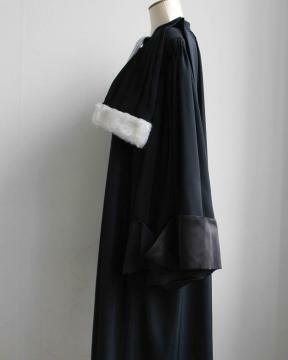 Made in wrinkle-free chashmere these gowns are breathable and elegant for year-round wear. 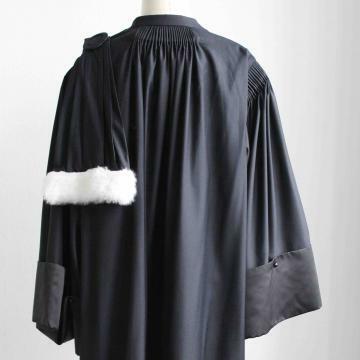 The black epitoge is available with white fur and is attached to the gown with two buttons on the left shoulder. 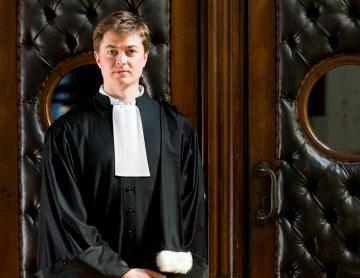 The gown is complemented at the neck by a traditional white cotton band. 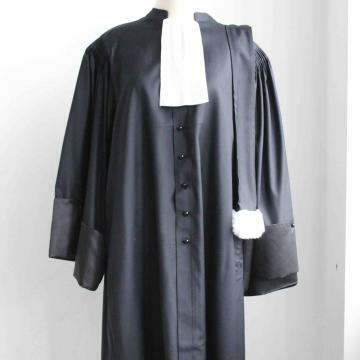 Package includes lawyer gown, épitoge and a traditional white cotton band.